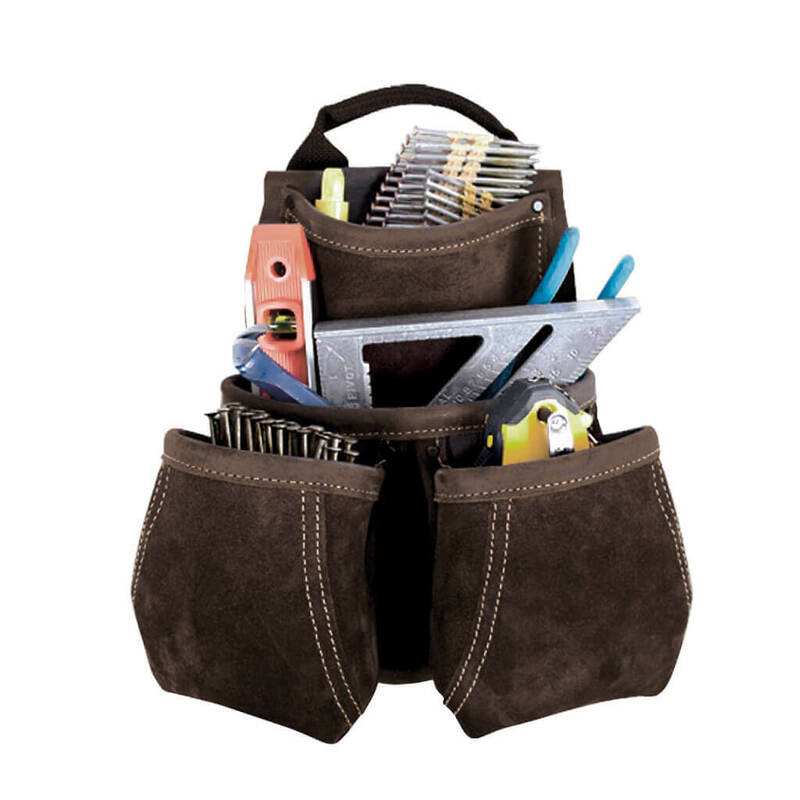 Kuny's AP-475 4-Pocket Deluxe Component Nail and Tool Bag Features Made of full grain water repellent leather for strength and durability. Innovative handle design for easy adjustments and carrying. Gussets keep front pockets open for greater access. Large capacity main nail and tool pockets. 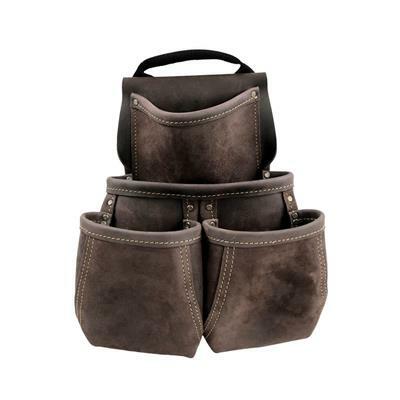 Made of full grain water repellent leather for strength and durability. Innovative handle design for easy adjustments and carrying. Gussets keep front pockets open for greater access. 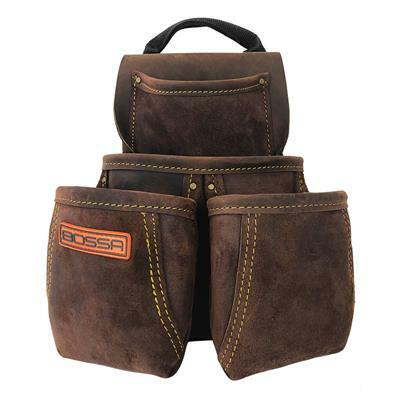 Large capacity main nail and tool pockets.